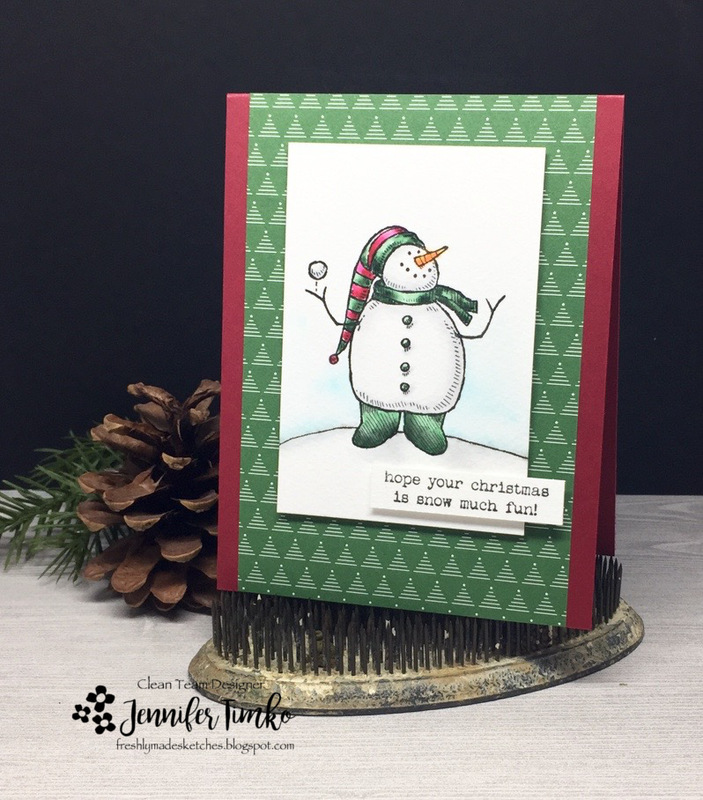 This is such a fun card Jen! I love that little snowman and really regret not getting him! Your colouring is amazing as always! Love that patterned paper and the fun sentiment!!! I believe I do remember that SU set. I wonder if I’ve got it hanging around somewhere! I do love a good snowman (the stamped kind, not the real snow ones)! Fabulous Christmas card! It’s fun to see this guy again! And I love how you’ve colored him. I need to remember to hand draw a hill — great tip! I haven’t thought about this little snowman in so long! He is so cute and you’ve made a gorgeous card featuring him!